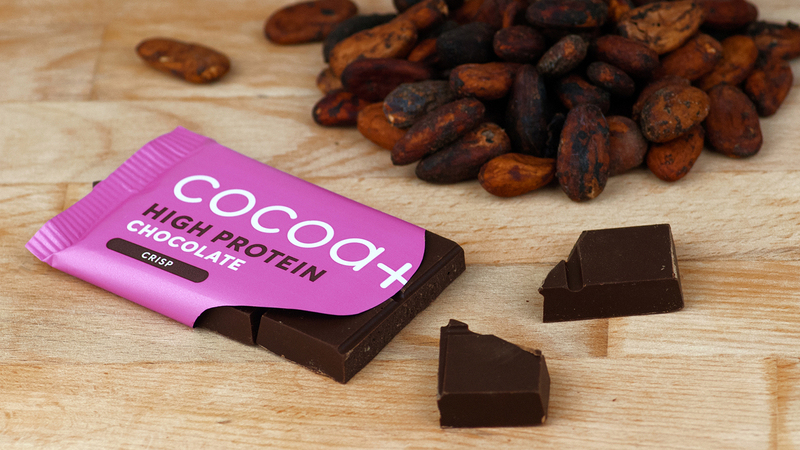 Cocoa Plus make high protein luxury chocolate, the first of its kind in the UK. 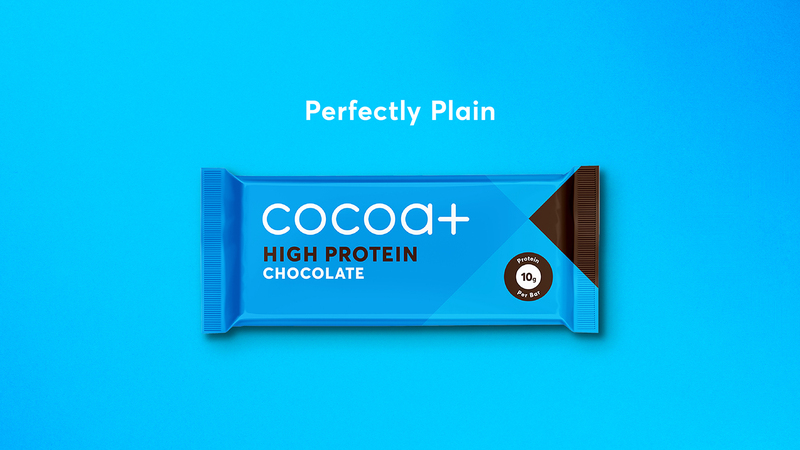 Cocoa Plus pride themselves on their selective and natural ingredients, with reduced sugar, high fibre content and 10 grams of protein in every bar. 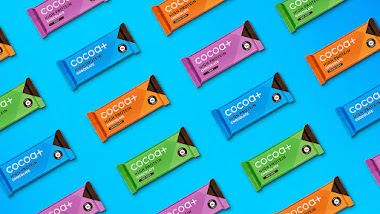 The start-up chocolatiers have recently branched out by creating a new flavour range of more compact 40 gram bars, available in Orange, Mint, Plain and Crisp, which were released this month. 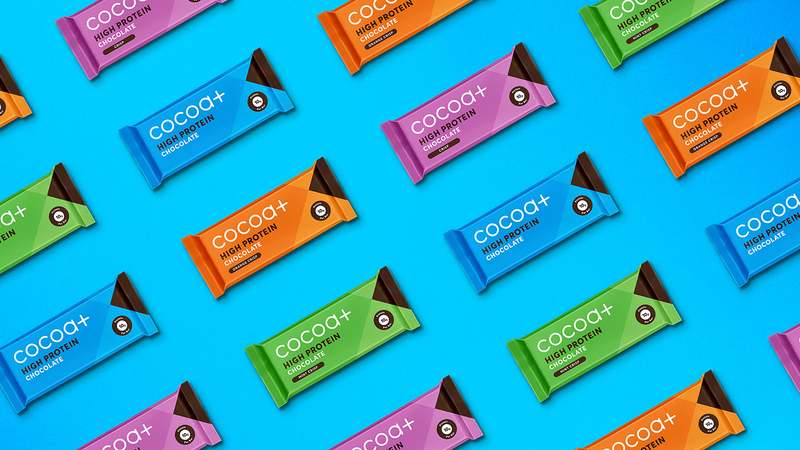 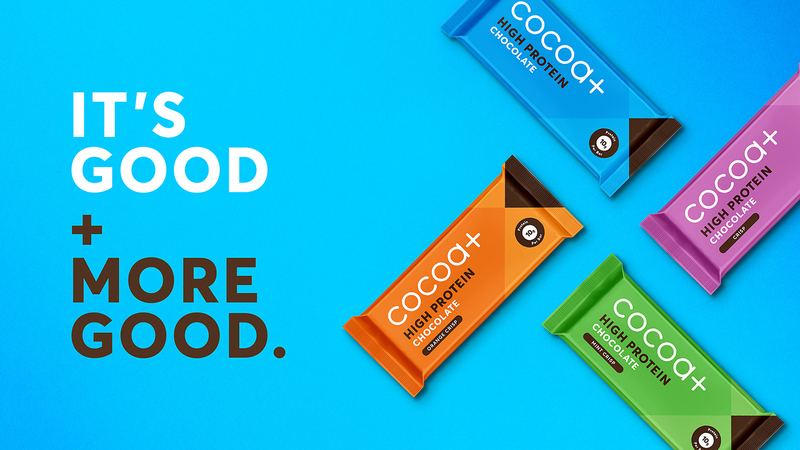 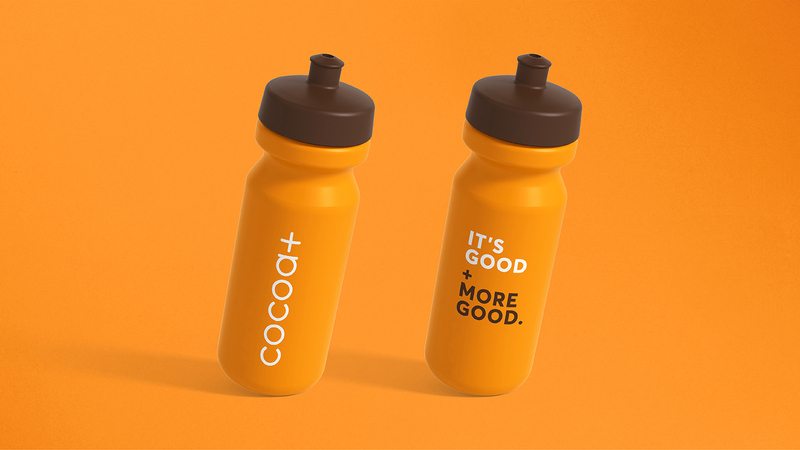 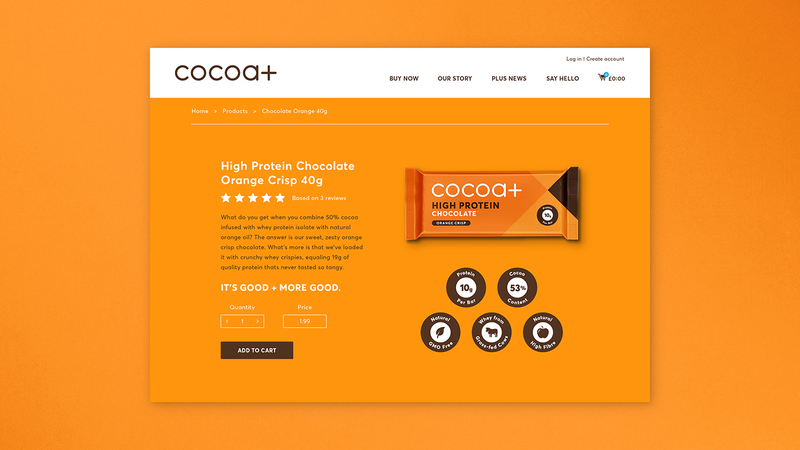 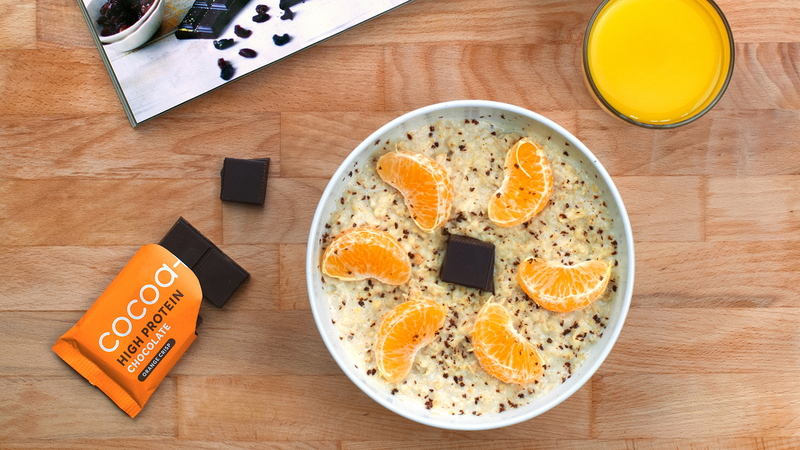 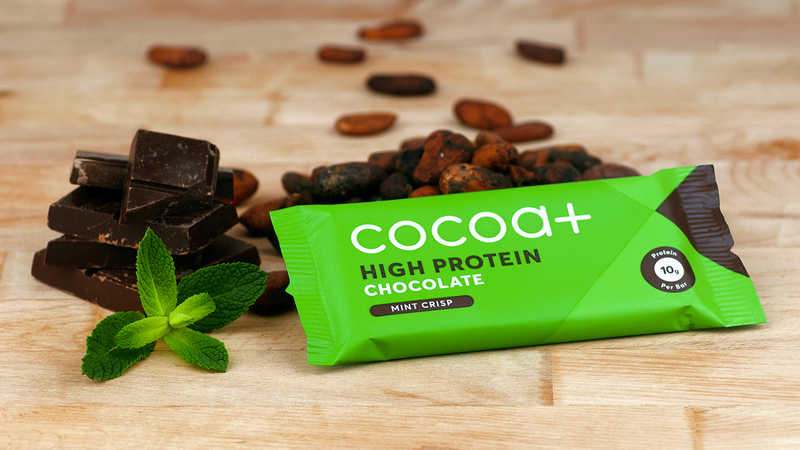 The branding of Cocoa Plus was inspired by the benefits of both cocoa and protein. 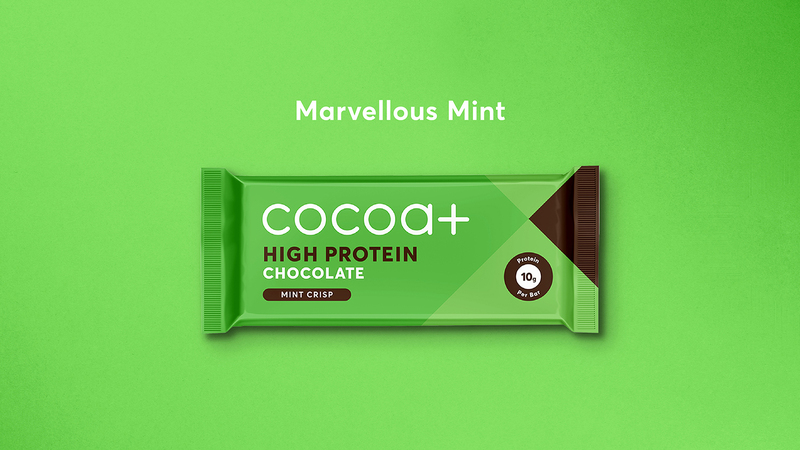 Developed by London based creative agency Deuce Studio, the result is a dynamic one that reflects both natural ingredients and an active lifestyle, designed to appeal to both men and women with passions for health and fitness. The introduction of the new flavour range has added a bold new colour palette to the minimal graphic language, combined with an honest and bold tone of voice. 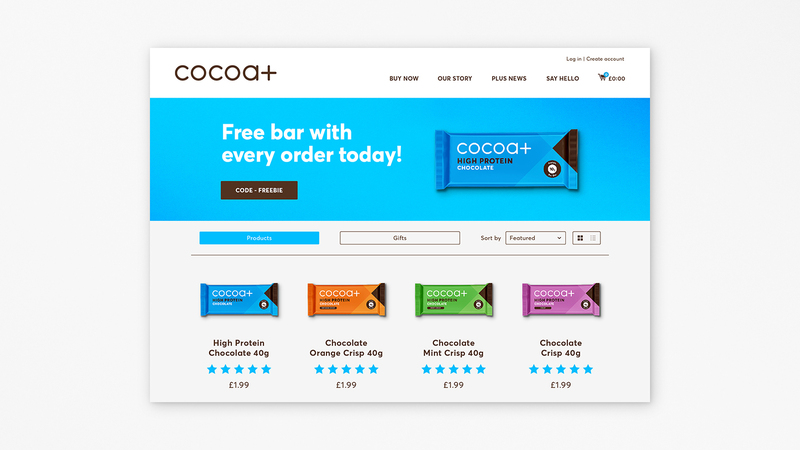 The UK's first chocolate bar designed and marketed for health and fitness enthusiasts.